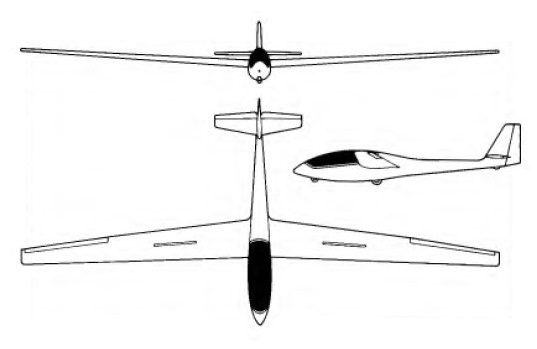 Intended to succeed the Bergfalke, the SFH34 tandem two-seater training and sporting sailplane can be used for ab initio and advanced training and cross-country flying, and is Scheibe's first unpowered design of all-glassfibre construction. Design work, headed by Dipl-lng Hoffman, began in 1978 and the SF-H34 prototype first flew on 28 October 1978; production began early in 1979. 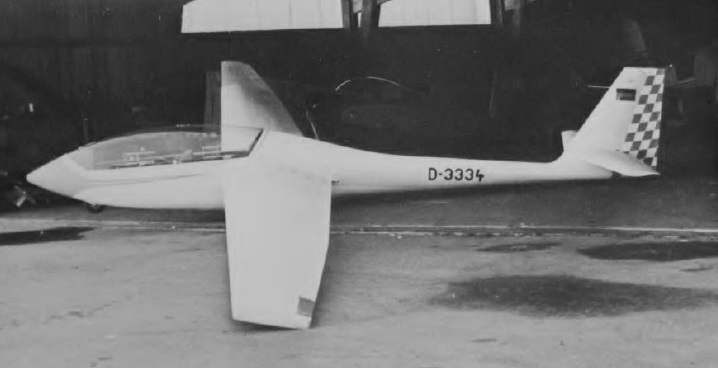 The cantilever two-piece mid-set wing has a glassfibre roving main spar and is of glassfibre honeycomb sandwich construction, as is the tail unit with its low-set tailplane; there are Schempp-Hirth air brakes in the wing upper surfaces, and production aircraft have no leading edge sweepback. The fuselage is a glassfibre honeycomb sandwich shell, and there are towing hooks fitted under the nose and at the centre of gravity. Landing gear consists of a fixed semi-exposed monowheel directly below the cg and a nosewheel, plus a tailskid. The pilots sit in semi-reclining seats with dual controls under a large one-piece frameless flush canopy that opens sideways; the seat backrests and rudder pedals are adjustable in flight. The SF-34B Delphin was produced in France as the S.N. Centrair Alliance 34 two-seat glider.